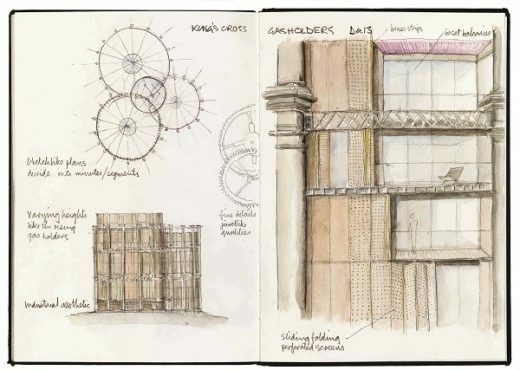 This summer, the British School at Rome will host an exhibition by the architect Chris Wilkinson RA bringing together thirty years of his architectural drawings and sketch books. 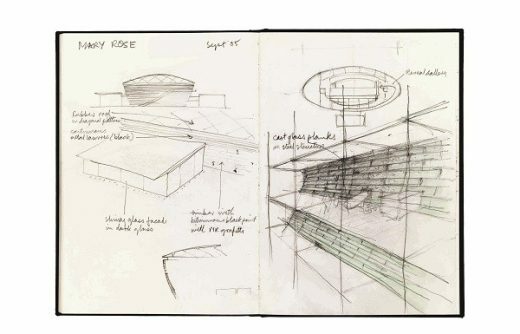 The exhibition Thinking Through Drawing: Chris Wilkinson follows on from his UK exhibition at the Royal Academy of Arts in London, and will delve into the architect’s creative process revealing the central role that drawing plays within the development of a design. To launch the exhibition, Chris Wilkinson will be holding a lecture on Thinking Through Drawing at the British School at Rome on Monday 4 July at 18.30 followed by an opening reception. Chris Wilkinson believes passionately in the importance of drawing by hand, particularly in an age dominated by digital media. This exhibition includes a selection of Wilk inson’s sketchbook s, drawings and watercolours from the last three decades. 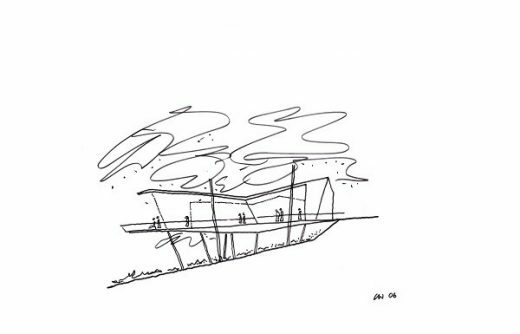 The sketches will showcase his design thinking on four projects, from initial site studies and early concepts to design development and construction. The projects including the Mary Rose Museum, Portsmouth, Maggie’s Centre, Oxford, the Kings Cross Gasholders and the new Dyson Campus in Malmesbury, which are all located in the UK, have been selected for their diversity. A specially commissioned film by Candida Richardson will accompany the exhibition. Chris Wilkinson OBE RA DipArch RIBA Hon FAIA FCSD is the founder of WilkinsonEyre, one of the world’s leading architectural practices. 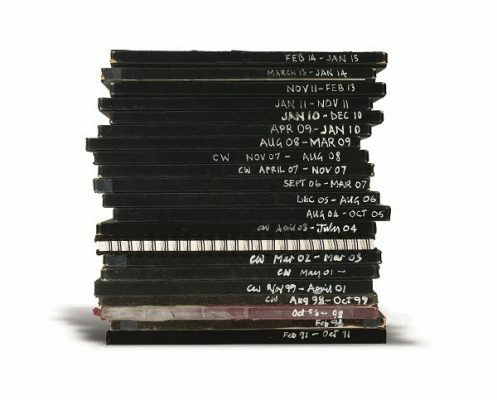 After working in several leading architectural practices, he set up his own practice Chris Wilkinson Architects, then formed a partnership with Jim Eyre which later became Wilkinson Eyre. The practice achieved success with major infrastructure projects in the UK including two Jubilee line projects, Stratford Station and Stratford Market Depot, as well as with Millennium Projects, Explore @Bristol, Magna and the Gateshead Millennium Bridge, which won the Stirling Prize in 2001 and 2002. Chris has won prizes for the Guangzhou International Finance Centre, China, the Mary Rose Museum, UK, and the Crown Sydney Resort Hotel on the Darling Harbour Waterfront, Australia. The practice is currently working on the restoration of Battersea Power Station in London and new towers in Sydney, Melbourne and Toronto.